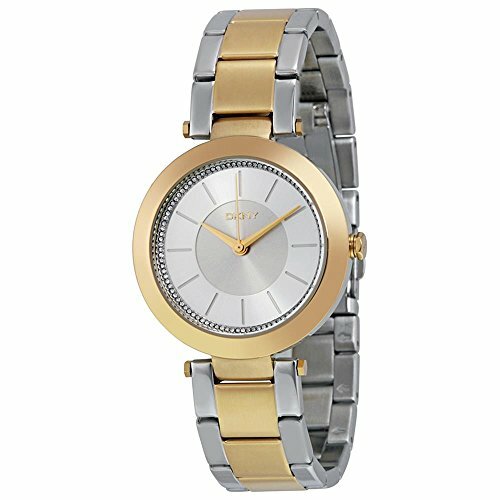 DKNY (DNKY5) Women’s Quartz Watch with Gold Dial Analogue Display and Gold Stainless Steel Bracelet NY2334. This attractive ladies DKNY watch is made from two-tone steel/gold plate and is powered by an analogue quartz movement. It is fastened with a two tone bracelet and has a silver dial.